I am linking up with A Rocky Top Teacher for our best practice book study on Worksheets Don't Grow Dendrites by Marcia Tate. 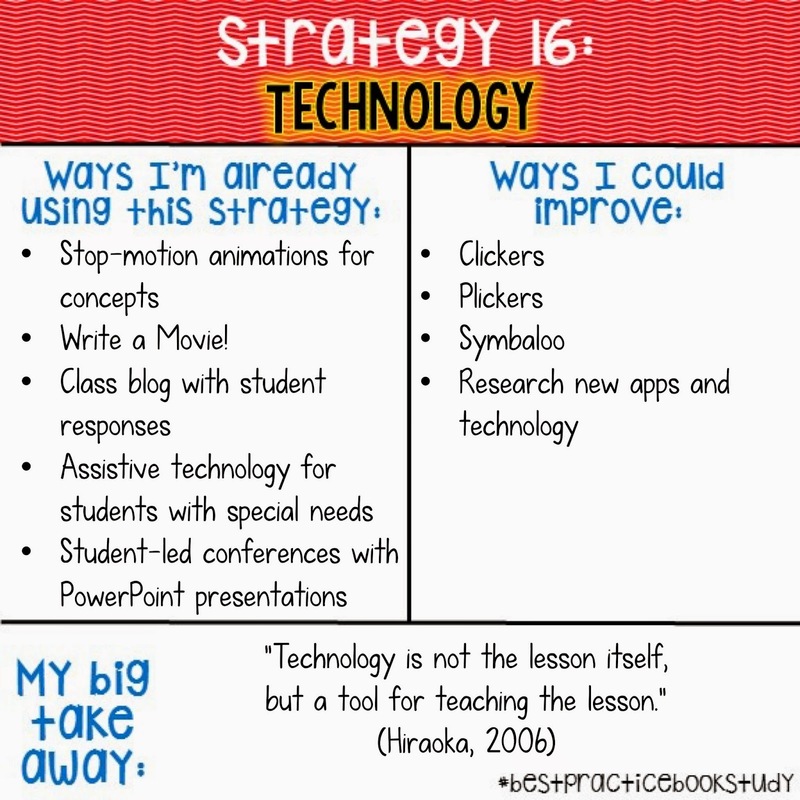 This week is all about technology! I feel like this is such a HUGE topic, so I am going to share just a few ideas that I use to incorporate technology that I think are unique. When I first started teaching, I worked with middle school students that were labeled emotionally disturbed. Many times, they had other secondary disabilities that made learning a challenge. Technology was a huge motivational tool for my kids, so I tried to incorporate it whenever possible! This was always one of my students’ favorite things to do. 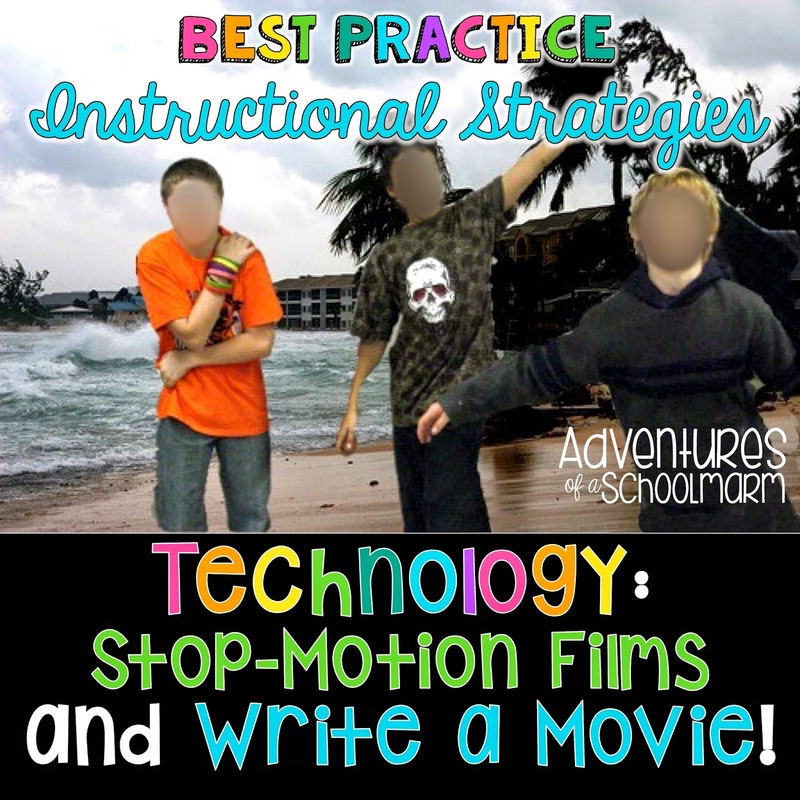 Whenever possible, I would incorporate technology into their writing assignments to encourage them to write a movie. The catch – they had to go through all stages of the writing process first before they could make their movie. This got students that were otherwise quite reluctant to write really interested in it! This student gave a really detailed summary of our reading. These videos were made by students after we read a story in our textbook about Typhoid Mary. The students had to change the point of view (originally told in third person) to a first-person narrative, then retell the entire story. 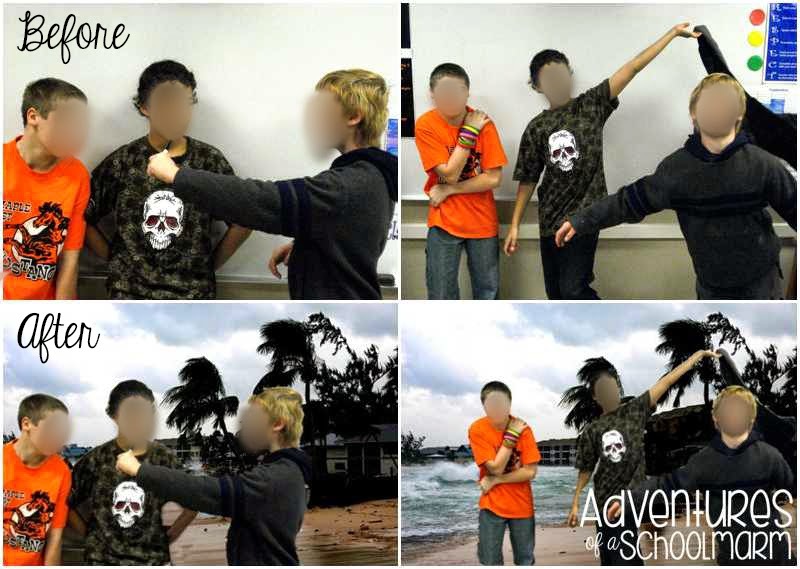 In this video, the students pretended to be the detective, George Soper. I love the way they incorporated music and pictures to convey the story! (I also LOVE how one used a photo of Franklin Delano Roosevelt to represent George Soper. Ha!!!) The video below gets cut off on the end for some reason. I wish you could see all of it because he really conveys emotion in it so well! Whenever possible, I also encouraged my students to work in groups to make collaborative projects with technology. After learning about hurricanes, the students became fascinated that hurricane hunters are REAL people! I wanted to take advantage of their interest, so we began to research what hurricane hunters did in real life. The students worked in pairs to create an entire news show about hurricane hunters. This group “interviewed” people on the site of a hurricane. First, they collaborated to write the script and include factual information. Next, they planned out the photo sequence. They took pictures in front of a white board, then used Microsoft PhotoDraw to insert themselves into a more “genuine” environment. Finally, they uploaded the photos into PhotoStory, recorded the script that matched each photo, and saved it as a movie. Another group created a commercial recruiting people to become hurricane hunters. The group below interviewed an “actual” hurricane hunter, then used the magic of Microsoft PhotoDraw again to insert him into his job environment. Afterwards, they used PhotoStory to record their words from the script they wrote. For all of these situations, I was able to use motivate and encourage even the most challenging of students. That is the power of technology!